When it comes to a great smile, having beautiful, straight teeth is not the only factor to consider. Having well-shaped and proportional gums are just as important as they help to enhance the overall appearance of your smile. We offer laser re-contouring to improve the appearance of your smile. 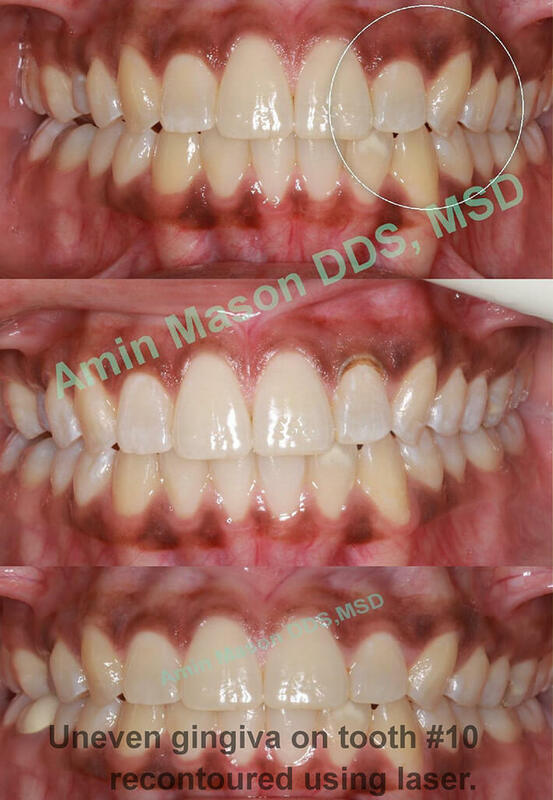 The soft tissue diode laser used at Polaris Orthodontic Center uses narrow beam of light energy which can remove and re-shape the gum tissue as needed. Healing time after laser procedure is minimal and no bleeding occurs.